Restaurant Expert Consultant – Howard Cannon has over 28 successful years in the restaurant, bar, food and beverage industry; and, Howard knows from experience that Restaurant Operations and Management is not as easy and glamorous as many may perceive. It is a full-time job with many responsibilities; and, it involves a lot more than just selling food. It is imperative that all restaurant and bar establishments operate in such a way to not only make a profit, but to do so while providing a safe environment for employees, customers, vendors, and service providers (all who enter the establishment) at the same time. Although difficult, it can be, and often is, accomplished and done very well. Howard also knows that Restaurant Operations can be made easier through the use of thorough plans, sound procedures and regular staff training. With these in place, your restaurant or bar can run like a well-oiled machine and will be more likely to function smoothly with a greater chance of success, while reducing the chance of possible accidents, injuries, and health and safety incidents for employees and customers, alike. A successful restaurant operation involves being able to control and maintain inventory for every single item on the menu every single day the establishment is open for business. Making sure there is enough to be able to prepare what is ordered, but not so much that certain food items will parish before they have had a chance to be used — wasting valuable dollars. Food items must be stored, prepared, and served following federal, state, and local laws and health codes – keeping the food tasty while safe from food contamination and food-borne illness. It is important to be able to adapt and adjust certain recipes for special food requests and health concerns such as possible allergies to certain ingredients. Managing the office and business aspect of the restaurant is just as important as serving a delicious plate of food. The operations and management of restaurants and bars involves managing and controlling Human Resources (including payroll, financial and taxation documentation, and all record management); in addition to, Purchasing, Preparation, Service, Cleanup & Sanitation, Cost Control in Food and Beverage, Legal Issues, and making sure your staff is following the Industry Service Standards and Health and Safety regulations. Keeping your restaurant and bar establishment clean and sanitary at all times makes for a more pleasant visit for customers and a safer and better place in which to work. Good cleaning habits can greatly reduce the risk of infection of disease to the customers and employees. A restaurant owner/operator must be able to provide a safe and pleasant dining experience for its patrons and a safe and law-abiding work environment for its employees — cleanliness is vital to its success. 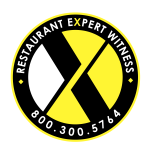 Call today for a FREE initial, no-obligation consultation with Restaurant Expert Consultant – Howard Cannon: 800.300.5764 or Email us.